Light and nimble, this tarp adds almost nothing to your pack weight, but offers a huge amount of rain protection. Fantastic for hammock camping, but can be used for ground sleeping as well. Can be pitched between trees, or with trekking poles. 1000+ miles tested, still looks like new.Cuben fibre is very durable for its weight. ‘Doors’ add a lot of protection from wind, rain, and bugs compared to tarps without doors. Very large and versatile. It can be pitched in many configurations. 6’6” tester found it very roomy when hammocking, and a house when ground camping. Sometimes while pitching with trekking poles, the doors cannot be pulled out fully because of the ground. 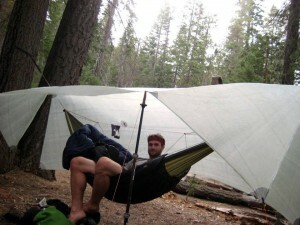 This tarp is best for hammocking where it can be suspended high off the ground. Hard to set up with trekking poles in a high wind. 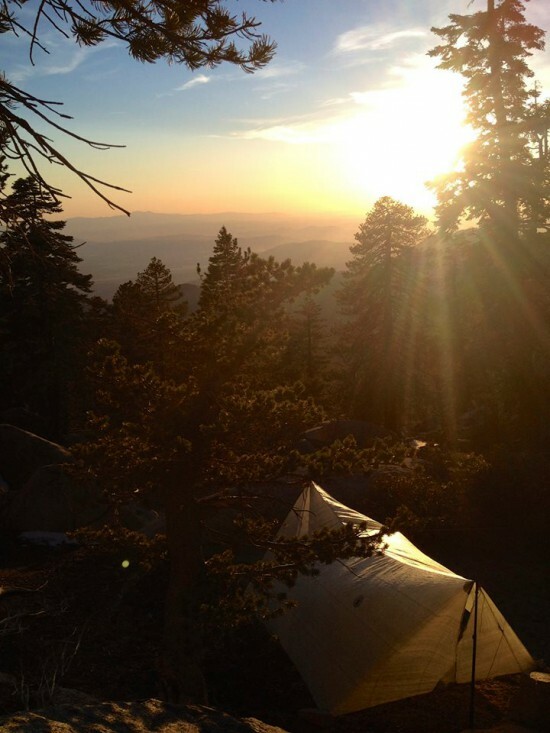 Best Used For: Hammock camping, Ultralight Backpacking, Thru Hiking/Long Distance Backpacking. When I first bought this tarp, I used it exclusively for hammock camping. 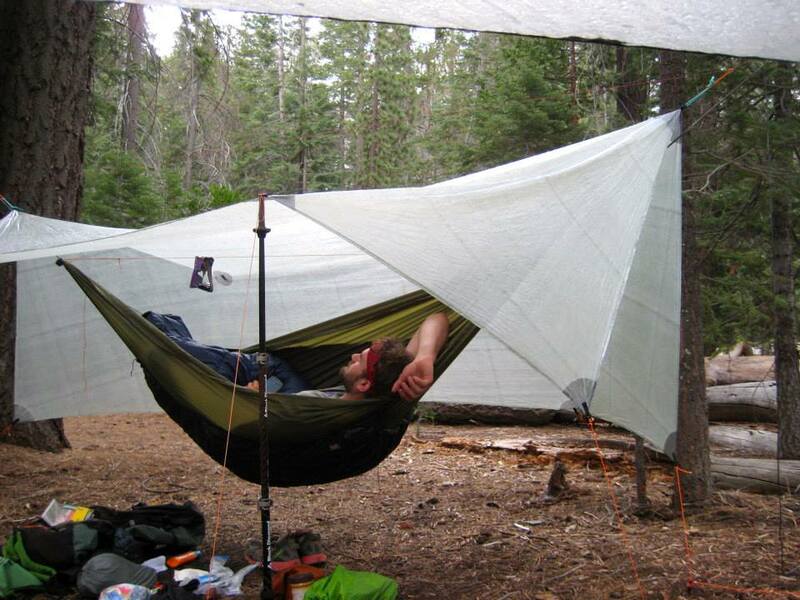 As a hammock tarp, I believe there is no better design. 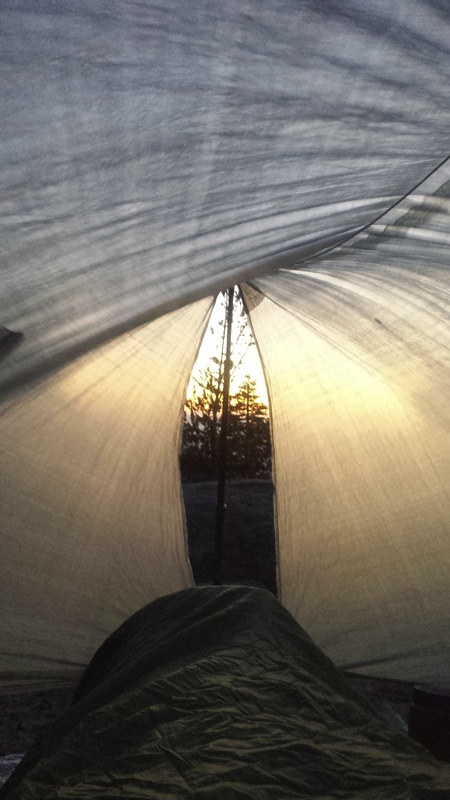 I have used this tarp with a Warbonnet Traveler for a very lightweight combo. (23oz combined) That is lighter than most tents. Due to it’s lightweight, I took this tarp on my Pacific Crest Trail thru hike and used it for the first 700 miles as my primary shelter. I slept on the ground and had no problems with rain or wind. However, when pitching low to the ground, the doors get obstructed by the ground, as the tarp is meant to be suspended over a hammock. I only stopped using it when I started hiking with my girlfriend, who wanted to sleep in a tent. Then it got lost in the mail until I finished. It’s construction is excellent, and it has survived torrential rainstorms, and some fierce winds. After over 1000 miles, it is still working like new. Finally, it’s price point is high at $295, but that is very standard for comparable cuben fibre tarps. So far, the investment has been worth it.